Things About Who, What, When, Where and Why: A Short Story! 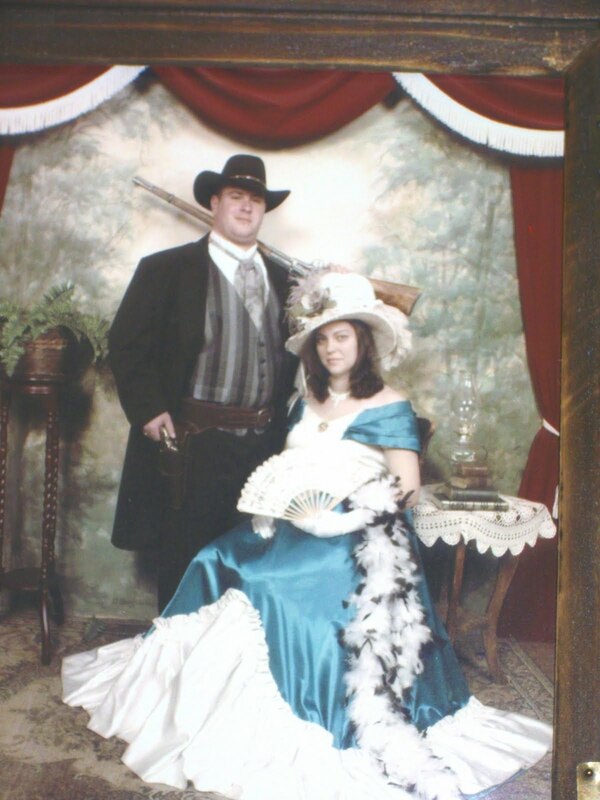 It was the late 1800's, This young couple,Nicolia and Nathanial had come both from well to do families. The town they were from was been taken over from the outlaws that had come into town, they were going North and West seeking gold. If riches were found they would come back into the town. They really were not only a danger to the people around them, but also to themselves. It was a different time, a different place. There were the rich and the ones that wanted to be rich. Nathanial and Nicolia knew that they had to leave and find a place to start over, and make a new home. Nathanial had been offered by the people of the town the position of local Sheriff. He had never killed a man and had no intention of starting. It was an honor for him to be asked, but he was his own man and would live by his own rules. There were other men that were more qualified to be Sheriff than he. They said there goodbyes and left for Canada. It was a long, hard treacherous trip and they entered into wilderness that really was no place to take a lady. They kept their end goal in mind and prayed on it every day. They had one another and even though they were tired, they kept going.. They had no idea of the dangers that lurked before them. They were thrilled by the big burly guide, He seemed a little rough on the edges, but behaved like a true gentleman.. They managed to hunt to feed themselves. People had been very few and far between. They continued on into a strange country of beauty like no other. Luckily they had started there trek in early Spring as it was very possible they would not have survived the travel through the harsh mountains. After many days the guide, whom they had learned his name was Boomer seemed in very good Spirits. It would be soon now he said, This gave them new hope that all would be as they had hoped. The long travel was starting to show the wear on everyone, although they were determined not to show any weakness, as they all needed to stay strong for the others. They managed to cross the mountains, and if what they had been told they would find there new home soon. some settlers ahead. The food would be plentiful, they were already building a church, and stores were going up. The people seemed mighty friendly. When you find land you want to claim you have to put a flag into the ground and then in to town where it will be put into your name. Nathanial and Nicolia hugged one another. They would keep scouting to see what they would find. They were very well thought of in the area. In a few years they had six children and had built a better house. Nathanial had done very well for himself, hunting, fishing, became a cattleman. He eventually moved his parents to live with them, His sister Kelsiandra dated Boomer for a while, but eventually Boomer went on his way over the Rockies up the Yukon way to dig for gold. He would show up every once in a while. Kelsiandra eventually married an architect from way down South. His name was Luise.They eventually had four children. The whole family lived in the huge house and they were all together again. One big loving and happy family.! The above story is fiction, I have often said that if I could have lived in any time, one hundred years ago would have been great. In nature, with the animals, under the stars, surrounded by mountains, living in a log cabin,planting my own garden, picking berries, being with the one I love ..It is really no different than what I live in now, I am close to the mountains, don't live in a log cabin. No matter what year you can live your dream you want. sometimes you already are living your dream without realizing it. Be happy! How thrilling! I was cheering them the whole way. Literally held my breath as they entered the wilderness of Canada!! I love dream journeys. So exciting! i am glad we dont dress like that anymore :) wouldnt it be just time consuming to simply get dressed? Fun story, Cinner. I know you had a good time writing it. I don't know about wearing the clothes they wore back then. So many layers and clothes in the way. It would take a long time to get dressed and then they had to get undressed and dressed again a couple times a day. It's a wonder the dresses didn't catch fire when they were cooking the meals. I think you have the best of both worlds being in today's life. Like you say, near mountains. But you don't have the long harsh travel conditions and you don't have to grow your own food. Keep writing, it is a pleasure to read your work. I, too, was waiting for you to tie yourself into this story and family!! Have a great remainder of the weekend. Makes me wish I had been there. I used to play "Mountie" when I was growing up. Mountie and Nurse. I was impressed.. I was really hooked on the story and was imagining the characters and the scenarios until the end. You do write so well! It's so nice of you to remind us that we can all live our dreams whatever year we are in. And that we might not be realizing that we are already living them for real. It's always nice to be happy, to think of wonderful things. Great story Cinner. Your last paragraph sums it up exactly - such a shame that some of us don't realise we already have exactly what we want. ED Thank you, it is a shame that some of us are always looking for the greener grass on the other side of the fence...I always say be careful what you wish for. Sashindoubutsu, you are too kind, I kept thinking about you playing your last song after I read your post yesterday. you are a darling. I am so glad you take the time to visit. it is nice to be happy and appreciate what we have for sure. Anne, Mountie and Nurse together.....is that like nurse and doctors....lol. Same here, at one point I wanted to be a nurse, but those moments for me kept changing when I was growing up. Nurse, Artist, Rock Star.....I know I drove my parents crazy.. take care, you must see all kinds of things at the Homeless Shelter, they are blessed to have you. Jackie, thanks, the couple in the pic are my nephew and his fiance that I stayed with in B.c. when I was there. I just love the picture. hope you are well, glad to have you stop by my friend. hugs. Char, thanks, yes I love the look, but this gal no way no how is getting into a corset or into petticoats...in all honesty I am a pretty casual girl....but I do think they look lovely. hope you are having a nice weekend. TechnoBabe, I have to tell you, if I had to get dressed like that I would be exhausted by the time I was ready for my day. and like I said in another comment, this gal is not getting into no corset or petticoats. so pretty though, I really can't picture either of us wearing them, how about jeans and tshirts. lol. thank you for your feedback on my writing. take care. hope you are both well. Brian, the couple is actually my nephew and his fiance. I just had a lovely visit with them in the Spring. And I agree there is no time like the present. have a great rest of the weekend. take care. Kamana, your right we would have no time for taking photos would we. take care, hope you are enjoying your weekend. hugs. SueAnn, thank you for the wonderful feedback, it is always so nice to hear. hope you are having a wonderful weekend. It is still raining here, so we got no time at all in the yard. I did buy some plants yesterday..Be well.